Carl Cox will be bringing Pan-Pot, Darren Emerson, and Jon Rundell along for his forthcoming headlining set at New York City’s Governors Island. The 18th June event will be one of the first for the new outdoor venue, and Cox’s first set in the city in over two years. 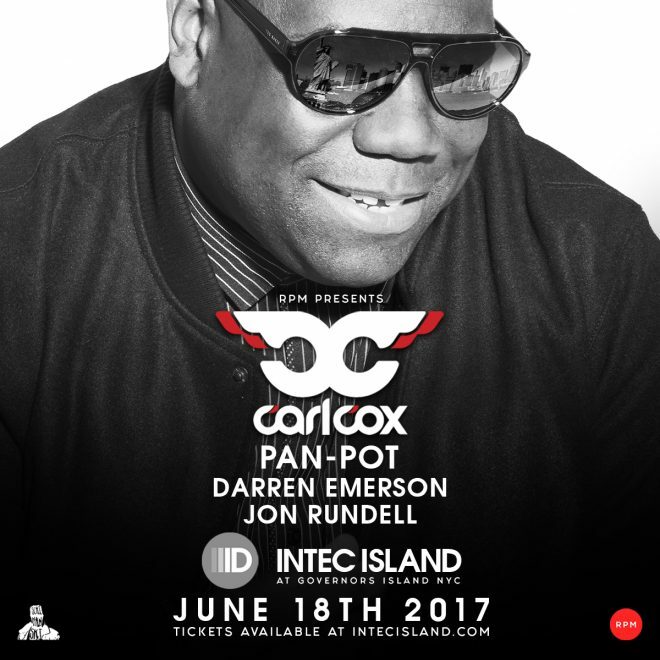 Produced by RPM Presents, Carl Cox Presents: Intec Island is already being heralded as the “show of the summer”. And while Cox’s 15-year legacy at Space Ibiza has come to an end, those not fortunate enough to attend his NYC gig can still catch the legend on the White Isle at Privilege.